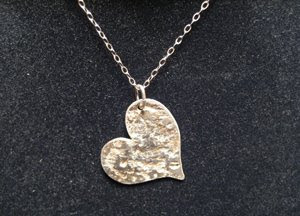 On this day of love, we at Boston Handmade find ourselves overflowing with love for, um, er... ourselves. The thing is, our group, and all that it stands for, is really special to us, and has been a big part of our lives for over two years. Of course we also love our family, friends, and pets, but today we post this valentine to ourselves and our group as a show of how much we mean to each other and how much the group as a whole has positively impacted our lives and our art. Thank you for your indulgence, and don't worry, your card is in the mail. "Boston Handmade is my creative family. Everyone knows how good it feels to be around like-minded people, and for all of us to have daily contact with other artists, and artisans is a wonderful thing. I like that whenever one of us has a question, or needs help with anything that there is always someone in our group of 30 who can chime in with advice, or reassurance. Creatively everyone is such an inspiration." "I love Boston Handmade because of the strong, supportive community of artists and craftspeople that have developed over the past two years. It is a group that supports and encourages each other in so many ways, and I feel lucky to be a part of it." "I love Boston Handmade because they have been super supportive and welcoming to me as a new person in town. They have made my move to Boston much more enjoyable and successful. I don't think I could have found a better group of artists and craftspeople to be involved with. Everyone has been so helpful, encouraging and resourceful! It is an extremely talented group that give it their all to the handmade world and I'm happy to be involved." "This group inspires me to continue creating, and gives me the confidence to put my work out there in the world. Plus, there is great mac and cheese at the parties, which is really important." "Being part of Boston Handmade has really pushed me to up my game and seriously think about my craft as a business. I've also met extraordinary women who have taught me so much about working in a team, several of whom have become my good friends. It made me realize that what I'm trying to do is actually not unique, but that's a bonus. There's a strength in shared goals." "I love Boston Handmade because I have found such a remarkable support group of wonderfully talented individuals that have become great friends. There is always something new to learn or share... and that continues to make me a better artist." "I love the camaraderie and sharing that goes on in this group. I love that we trade leads, cheer each other's successes, allow each other to have differing opinions, give each other advice, and successfully work towards common group goals. This group reminds me that I am not alone in my struggles to make handmade my livelihood." "I love Boston Handmade because our shared experience builds a foundation that makes each individual artist more informed, more empowered, more creative, more challenged." "Boston Handmade has helped me focus clearly on what direction I am taking with my craft. All the members are so supportive and informative, I have learned so much from being part of this group. A huge bonus is doing shows together which I really enjoy! I love Boston Handmade!" "Boston Handmade has made me a better artist. I am doing things that I never thought I would or could do. Show my work, have a website, sell my work and write a blog. I found Boston Handmade to be a wonderful support group. Everyone has some much wisdom, knowledge, and experience that they share freely with everyone. I also, love that I have made so many friends." "I love Boston Handmade because it reminds me that there are other artists out there making, showing, and promoting the arts. I love how much we know as a group. I will never be short places to show my work ever again! And I have a place to turn when I am stumped." "Reasons why I love Boston Handmade- I got the encouragement and push that I needed to get out of my studio and do some markets. When I needed to figure out how to accept credit cards, I had a place to ask, with people who had experience- and even the secret code to get the discount! When a customer does something absolutely crazy, it is so much fun to vent and have everyone chime in- we all get a laugh. And, now when I go to a show, I have know so many of the vendors- so many friends." This makes me warm and fuzzy :) LOL Happy Valentine's everyone!! Isn't it great what a positive influence Boston Handmade is in our lives? I am SO happy to be a member. Happy Valentine's Day! A Happy Valentines one and all – I spaced on this one but I whole-heartedly agree with you all! I too feel so lucky to be a part of the BHers and to have the opportunity to grow, learn and make new friends. hope you all had a love-filled Valentine's Day!